Nestled between London and the M25, Langley Vale Wood one of the Woodland Trust’s four First World War Centenary Woods. The rumble of the modern world slowly fades away as you walk into the valleys of Langley Vale Wood. Join our volunteers on one or more guided walks here throughout 2019. Near Epsom, Surrey, Langley Vale Wood has pockets of ancient woodland, diverse and fascinating wildlife and flora, and stunning views over the rolling hills of the North Downs. Our knowledgeable volunteers will lead you on walks where you’ll discover some of the site’s secrets - past and present. 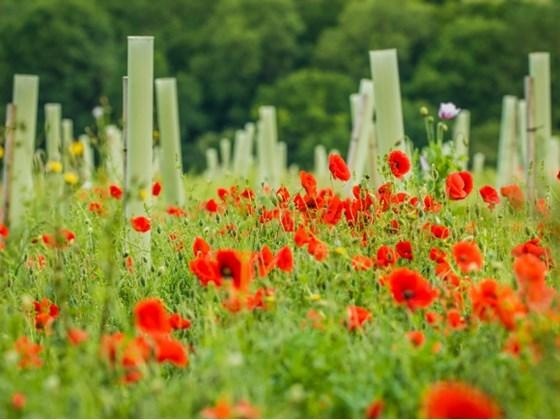 Learn about the role the landscape played in the First World War and hear about the exciting changes in wildlife we are seeing as the site transforms from an intensive farm into a mosaic of woodland and grassland - a peaceful haven for wildlife and people to enjoy. Suitable for families. Walks are 2 hours duration. Choose the date below to secure your ticket/s. Booking essential. £5 per adult, £2.50 per child (under 16). The Woodland Trust is a charity registered in England (No. 294344) and in Scotland (No. SC038885). Registered Office: Kempton Way, Grantham, Lincolnshire, NG31 6LL.